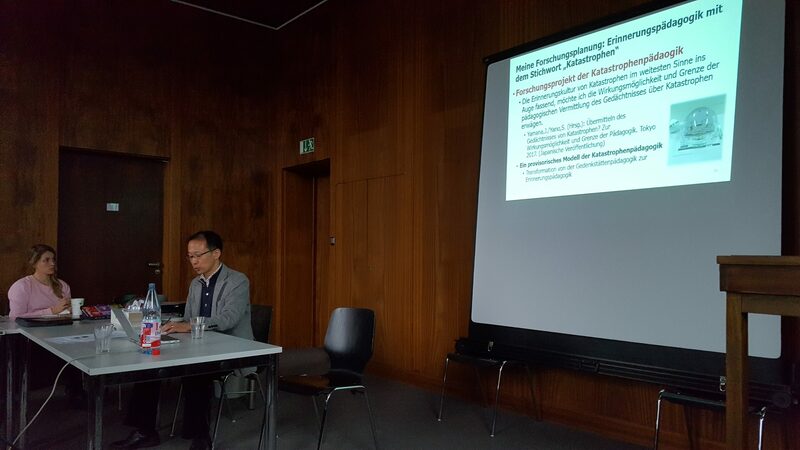 On Tuesday, December 13, 2016, Prof. Jun Yamana (Kyoto University) visited the Frankfurt Memory Studies Platform (FMSP) and gave a talk titled “Gedächtnis-Forschung in Japan heute: Einige Bemerkungen [Memory Studies in Japan Today: Some Observations]”. 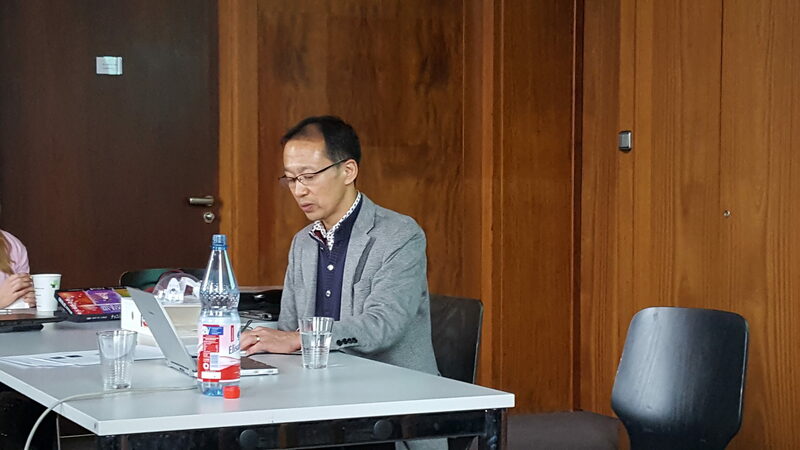 In his talk, Prof. Jun Yamana focused on three subjects – the ‘memory boom’ in Japan, the keyword ‘catastrophe’ for memory studies in Japan and his specific contribution of memory pedagogy in relation to catastrophes. He gave an important and broad overview of the state of the field in Japan with in-depth knowledge of its relation to pedagogy. The memory boom in Japan started in the late 1980s and took full swing in the 1990s. This, for instance, led to the translation of several works by Aleida and Jan Assmann into Japanese, even before they were made available for an English readership. Concerning the global context, this shows how Japan was and is part of the international ‘memory boom’, while simultaneously also providing very specific approaches and foci. One such specificity is the importance of catastrophes for memory studies and cultural memory in Japan. While he argued that it has become almost impossible to draw a clear line between human-made and natural disasters, emphasis in Japan nonetheless rests on the latter. This is evidenced by the sheer quantity of contributions and institutions, such as the minimum of 43 catastrophe museums. These institutions understandably also have a pedagogic function. Remarkably, this aspect outweighs the museums’ function to (simply) commemorate past catastrophes. Rather than transporting visitors into the past, the pedagogy of remembering catastrophes aims at creating awareness and resilience for the future. In this respect, Prof. Jun Yamana is conceptualizing (memories of) suffering of first and second order, of those affected and others unaffected. Prof. Jun Yamana’s research results will be published in early 2017 and will certainly contribute to memory studies in Japan. His visit also demonstrated the necessity to increase discussion and exchange between memory (studies) cultures. 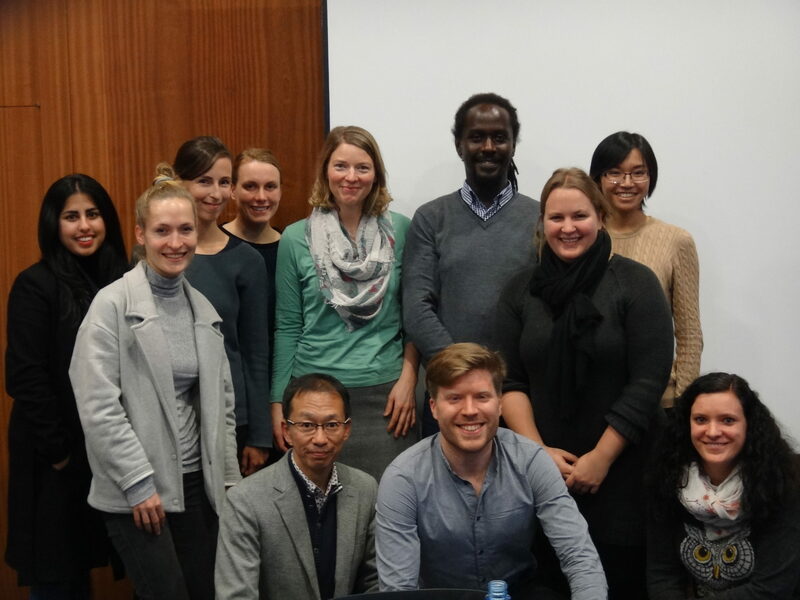 FMSP thanks Prof. Jun Yamana for his contribution to this exchange.